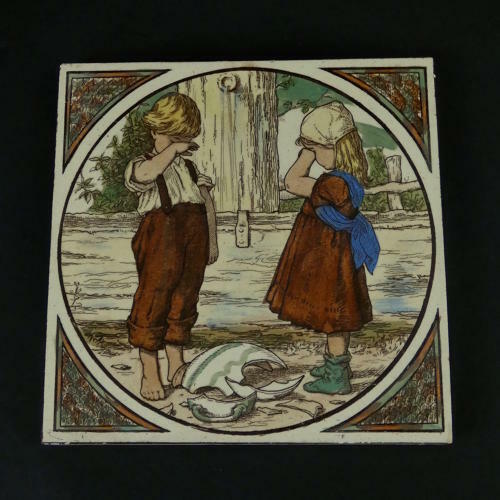 An attractive Victorian picture tile printed with a scene depicting two children crying over a broken pot. This piece dates from c.1880. It is transfer printed in brown but the print is then coloured in shades of brown, yellow, green and blue. The overall effect is very pleasing and the tile is in very good condition.